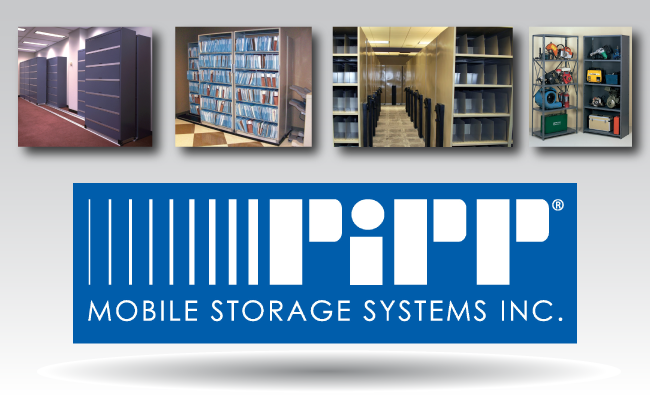 Pipp mobile storage has been in business since 1981. Pipp's mission is to be able to design customer specific storage needs. They solve storage problems in many different work fields and always provide the best service and products to their customers. Their products are 100% customizable and they can build almost anything to match what you may need. 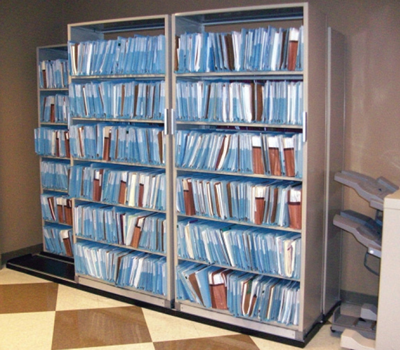 Lateral Manual Mobile Storage System’s are great for office/filing, medical records and supply storage. 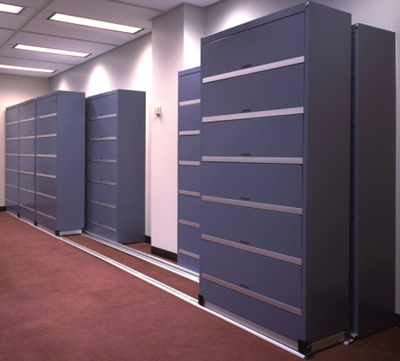 The system has 1 row (Bi-File) or 2 rows (Tri-File) of mobile units installed in the front and a row of static shelving behind it. The front units can be easily pushed on the track to access the rear row. About half of the unit will be accessible at one time. The units weight capacity is 3,000 lbs. per carriage. "V" grove track system available which is ADA compliant. “V’ Groove carriage height from floor to top of angle (shelving mounting surface) is 2-3/4” for the “V’ Groove carriage and 3” for the Flat Track carriage. 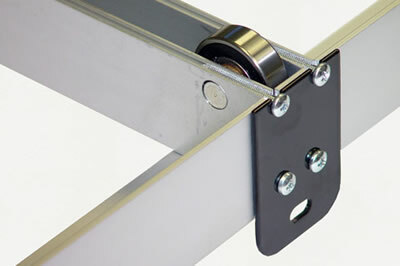 Carriage frame is heat-treated aluminum.5/8th of inch, 3/8 inches from the floor. Silver aluminum with black trim is the standard color (carriage corners & center plates). The structure is an assembly of 3-3/8” x 2” aluminum angles (for length) and 3-7/32” x 1-7/8” aluminum channels (for depth). The carriage and track height: 4-5/16”. Wheels are 3-1/2” diameter, 1018 dual flanged carbon steel and run a 3/4” wide steel insert on the 1/2” high flat track. Carriage frame is heat-treated aluminum. Wheels are 1018 double flanged carbon steel & 3-1/2 inches in diameter. Wheels run a high flat track and a 3/4 inch wide steel insert.